Samuel Vargas and Ali Funeka hit the scales today in Toronto, and like true professionals, both were on weight. Vargas weighed in at 146.5 pounds, while Funeka came in at a trim 144.5. The WBA-NABA title will be on the line, as both men look towards a possible world title opportunity in the near future. The remainder of the fighters on the undercard will weigh in tomorrow morning at 8:00 AM ET. Fans will be able to purchase the event for just $18.99 on FITE.tv, and the groundbreaking FITE app, which allows viewers to stream the fights in high definition right from their phone to the television in their living room. A select number of tickets are still available on Ticketmaster and at the Brampton Powerade Centre box office. Fans can also watch the fight at St. Louis Bar & Grill at 29 Aventura Ct. in Mississauga, Ontario, and are invited to the official after party at the same location. Lee Baxter Promotions and FITE are proud to announce that fight fans worldwide will be able to tune in to see the WBA-NABA welterweight title fight between Samuel Vargas and Ali Funeka. Fans will be able to purchase the event for just $14.99 on FITE.tv, and the groundbreaking FITE app, which allows viewers to stream the fights right from their phone to the television in their living room. Vargas has been on boxing’s biggest stage against superstars Errol Spence Jr. and Danny Garcia, and he’s determined to prove that he still belongs there. 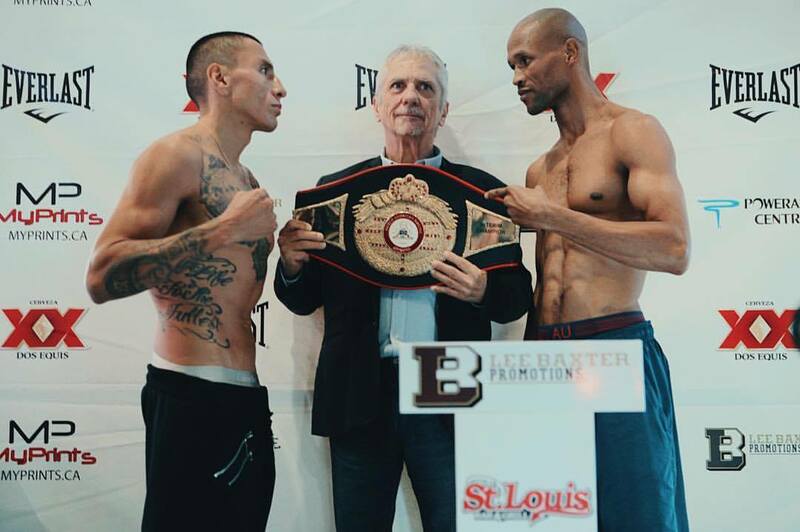 The 28-year-old Vargas (27-3-1, 14 KOs) steps up in one of the most significant fights of his career, August 19, as he defends his NABA title against three-time world title challenger Funeka (39-6-3, 31 KOs) in the main event of Lee Baxter Promotions’ (LBP) second event at the Brampton Powerade Centre, “Face Off”, in Brampton, Ontario, Canada. Funeka has been a fighting contender his entire career, going on the road and battling some of the sport’s top stars. Last year, he upset previously undefeated Russian prospect Viskhan Murzabekov in his opponent’s homeland. More recently, the dangerous South African veteran fought a bloody battle with Jeff Horn, who recently upset future Hall-of-Famer Manny Pacquiao. Vargas-Funeka is inarguably one of the highest-level bouts to be staged in Toronto in several years. In the co-feature, WIBA super featherweight champion Sandy Tsagouris will make her first title defense on home soil in Brampton, Ontario, Canada, against Simone Da Silva Duarte of Brazil. Both Tsagouris and Duarte have developed reputations as being among the most exciting action fighters in women’s boxing. Tsagouris became the first Toronto-born fighter to ever win a world title in Toronto when she defeated Carla Torres in March. Duarte, meanwhile, has challenged for a world title seven times, and will be looking to go to war and pull an upset on the road. Fans in France will also get a chance to see former Olympic standout Christian M’Billi, as he battles Genaro Quiroga in light middleweight action. The 22-year old was one of the true standouts of the Olympic boxing tournament in Rio, only falling to eventual gold medalist Arlen Lopez in what was perhaps the most exciting bout in any bracket. Already 4-0 as a professional, M’Billi has never done anything but impress in his boxing career, and fans across the world should expect no less this time around either. Commentary for the event will be provided by lineal heavyweight champion Tyson Fury, as well as SHOWTIME host and veteran broadcaster Corey Erdman. You are here: Home / Press Room / Vargas And Funeka Make Weight; Fight Live On PPV Tomorrow Night!